Dr. Kainaz Byramjee always appreciates feedback from her valued patients. To date, we’re thrilled to have collected 17 reviews with an average rating of 4.71 out of 5 stars. Please read what others are saying about Dr. Kainaz Byramjee below, and as always, we would love to collect your feedback. Amazing!! They were very patient with my daughter. Excellent service Gricelda the manager knew what I needed super flexible payment. Dr B excellent work I can say that she loves her job. Excellent care and will continue to tell others the same thing. I don’t know of a better complement than to say I really look forward to my dental appointments. 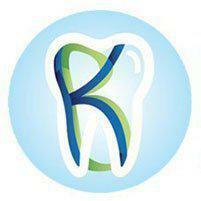 I like the exceptional service provided and the fantastic people that work at K B Dental. ....... I have had been here couple of times and every moment is remarkable. Awesome people! The best service ever. Friendly, professional,and a special kind of care that you don't find that often. The office was pleseant and well maintained. Also the dental equiptment was of new and high quality and extreamly clean. Excellent care. Excellent staff. I will continue referring everyone I come into contact with to KB Family Dentistry.